The younger wife of the Sun god is known as the Chhathi maiya and is worshipped with fervour. First of all take a sacred piece of cloth and spread it over the holy area or the puja sthan. Place the idols of Lord Ganesha and Lord Surya on the red cloth. Start with the puja/worship process; put Roli (vermillion) on Lord Ganesha and Lord Surya’s forehead. Put Chawal (rice) on the forehead of both idols. Make sure the pieces of rice aren’t broken. Lit incense sticks (Agarbatti) and wave gently in front of the idols. Lit the Deepak of ghee in front of the idols and offer Prasad like fruits to Lord Ganesha and Lord Surya. Take a little Chandan (sandal) in your mouth and keep it until sun rises. After taking the sandal in your mouth you can either stand still or sit till the sun rises. If possible visit a Surya Mandir (Sun Temple). 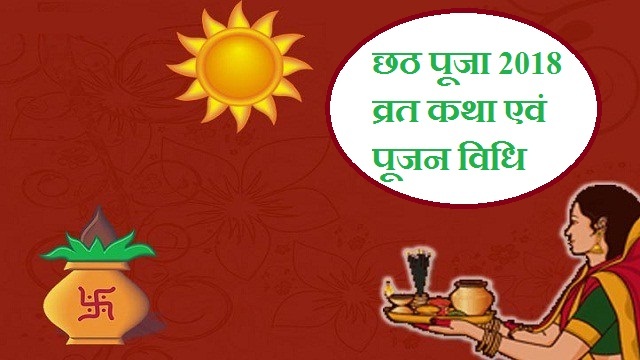 After sunrise, perform the same puja. Offer holy water to the rising sun. Distribute the khajur (date) among your family members and friends.